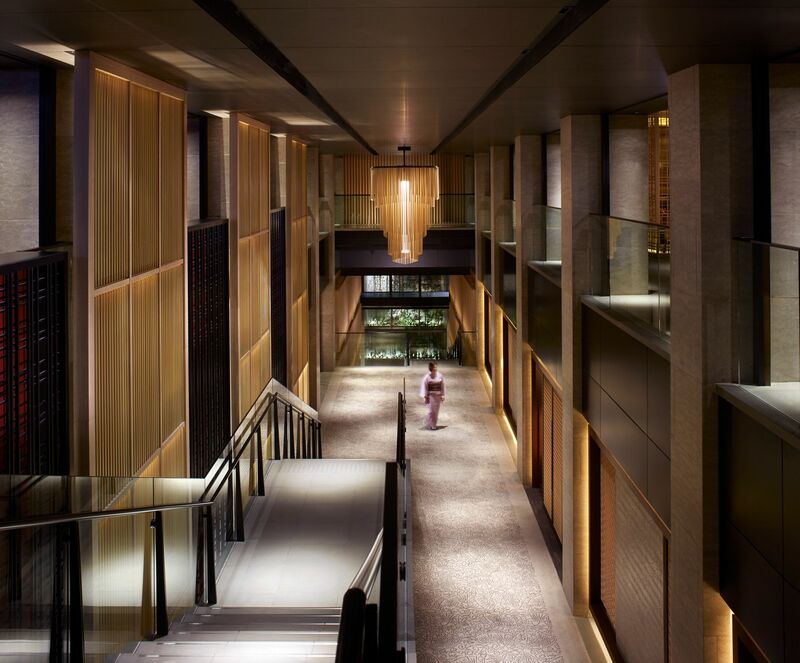 Kyoto’s newest and most luxurious hotel, the Ritz Carlton opened in early 2014. 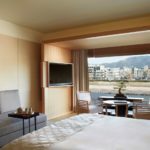 Just 15 minutes from JR Kyoto Station, it is located in the heart of the city alongside the Kamogawa River and is well placed for sightseeing. 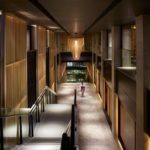 Designed by Remedios Design Studio,, the Ritz-Carlton is a great fusion of modern and tradition, with typical wooden Japanese doors opening and closing for guests electronically. It’s well-located close to a Heian shrine, Nijo castle, the Imperial Palace and the well-known Geisha district, Gion. Upon arrival at the hotel, guests are taken straight to their rooms to check-in in the comfort of their home away from home. The member of staff prepares tea for the clients, whilst explaining the room features. The hotel’s basement has a lovely pool, complete with a waterfall, in addition to two saunas. Children may also use the pool, as long as they are supervised, making this a good option for a family holiday. 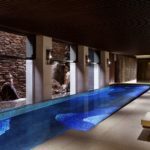 There is also a guest-only spa, which has a couple’s room: the all-female staff provide a range of treatments, including their signature tea treatment, which is wonderful for the skin (tea is Kyoto’s most famous export). This stunning hotel has 134 guest rooms and suites. The ideas of harmony, serenity and splendid elegance are reflected throughout the common areas as well as within each room. Luxurious amenities ensure comfort is paramount and no detail is too small. 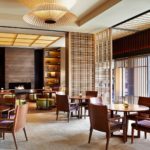 The Ritz-Carlton boasts a wide variety of restaurants showcasing the best of both Japanese and Western cuisine; from sushi to French pastries. Relax in the luxury knowing you are in safe hands. Even as I pulled up to the Ritz-Carlton Kyoto in the pouring rain (a rare, mid-summer downpour! ), it was clear that this hotel is beautiful. 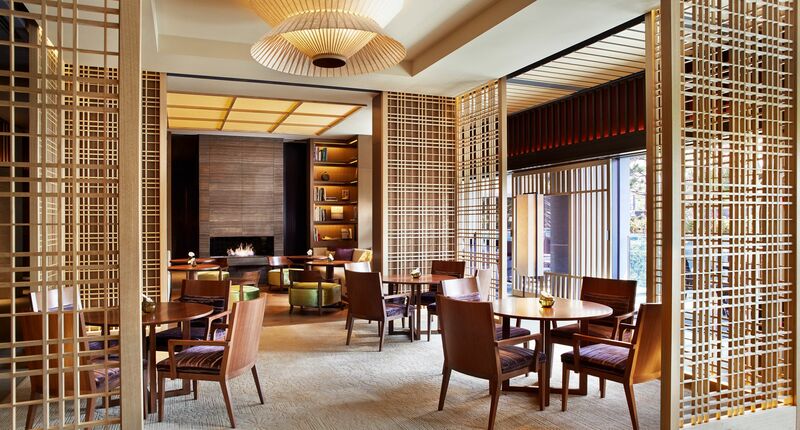 Dining options abound at the Ritz-Carlton, where and all waitresses dress in kimono. I particularly liked the beautiful La Locanda Italian restaurant, which served Japanese-Italian fusion cuisine. Once a Tea House, this dining area retains a traditional feel, and wraps around a lovely Japanese. 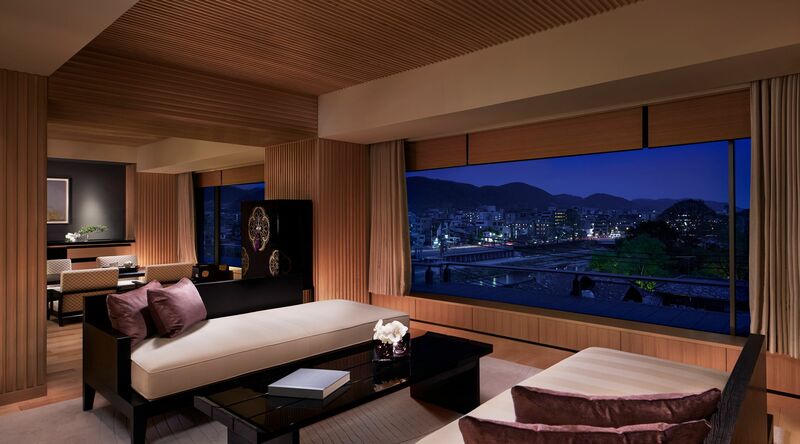 Ritz-Carlton Kyoto is a successful blend of Japanese hotel and world-renowned chain; everywhere you turn you are reminded of the wonderful city you are in, whilst enjoying first-class 5* facilities and services. 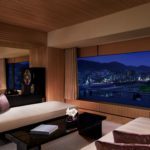 This is the place to experience luxury in Kyoto - perfect for a special treat or for staying in maximum comfort. Access: 5 mins walk from Kyoto Shiyakusho Mae Stn. 15 mins by taxi from Kyoto Stn.